Having caught the autumnal lurgy which seems to be making its way around the city at the moment, I was off work yesterday. 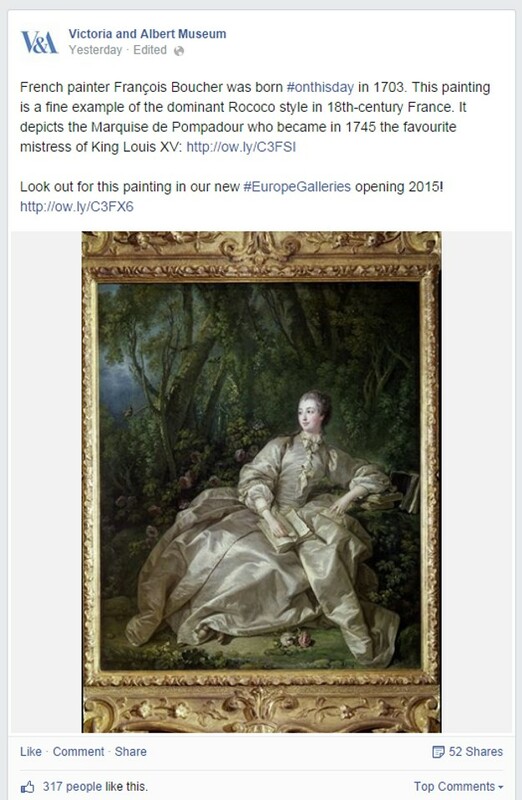 This meant that I’ve been pipped to the post by the V&A’s Facebook page in marking the birthday of the French court painter, draughtsman and etcher François Boucher. I’ve refrained from changing the title to ‘Born Yesterday’ as it doesn’t sound quite right (! ), but here is my belated-birthday blog post for François Boucher, born 29th September 1703. 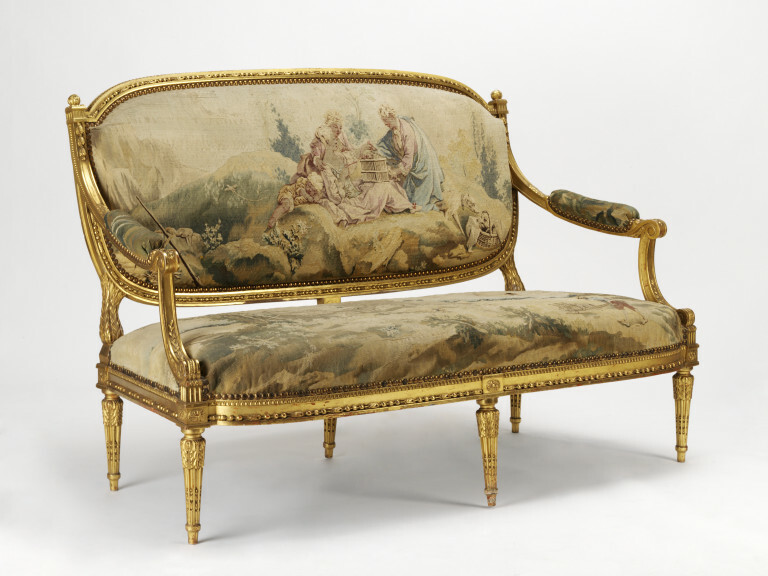 An artist who, arguably more than any other, set his stamp on both the fine and decorative arts of the 18th century. 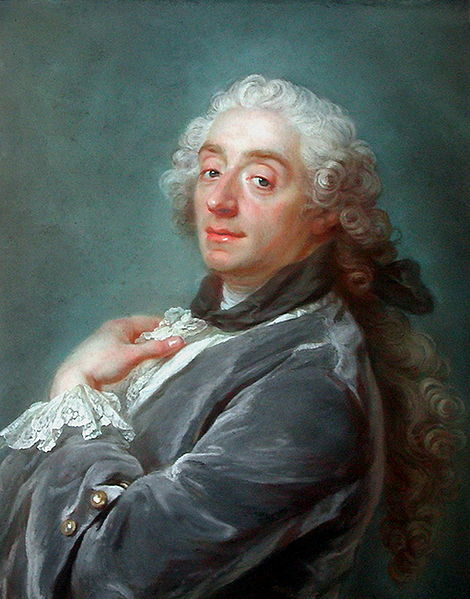 The son of Nicolas Boucher, a minor painter and lace-designer, François Boucher was briefly apprenticed by the painter François Lemoyne before going to work for the engraver Jean-François Cars. In 1720 he won the elite Grand Prix de Rome for painting. However, due to financial problems at the Académie royale de peinture et de sculpture, he was unable to take advantage of the resulting opportunity to study in Italy until five years later. 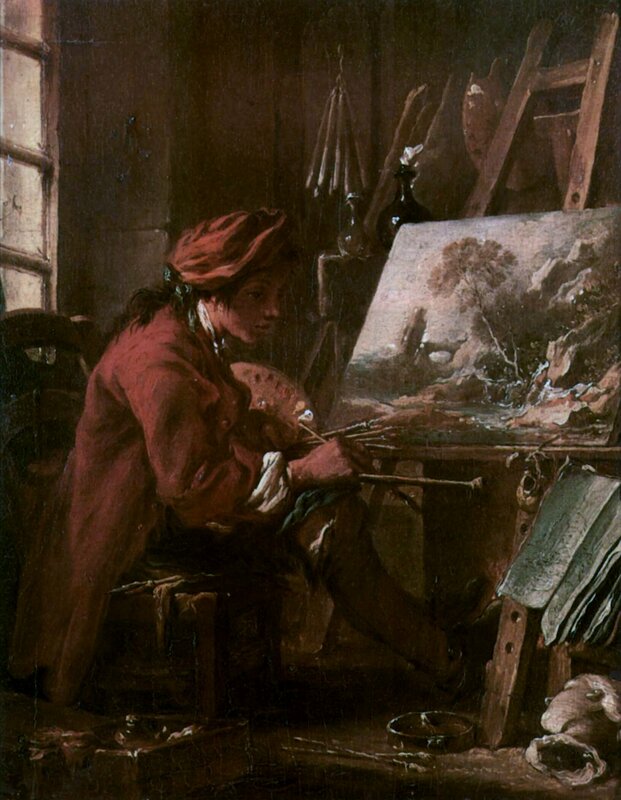 On his return from Italy Boucher was admitted to the re-founded Académie de peinture et de sculpture in 1731, becoming a faculty member in 1734. His career then saw a meteoric ascent as he quickly become a Professor and then Rector of the Academy. He became head of the Royal Gobelins Manufactory in 1755 and by 1765 was appointed to the two highest positions in the French arts establishment – Premier Peintre du Roi (First Painter of the King) and director of the Académie royale. The influence of the Italian countryside and 17th century Dutch landscape painters can often be found in Boucher’s early works, with their celebration of the idyllic and tranquil portrayal of nature and landscape. His work also reflects some inspiration from painters such as Rubens, Watteau and Lancret. 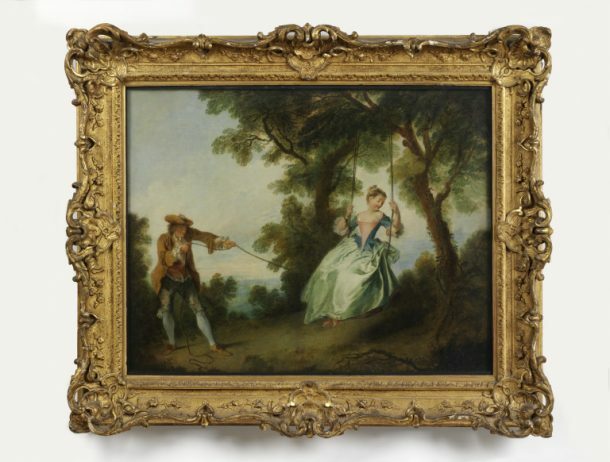 ‘The Swing (L’Escarpolette)’, oil painting, Nicolas Lancret, Paris, 1730s. 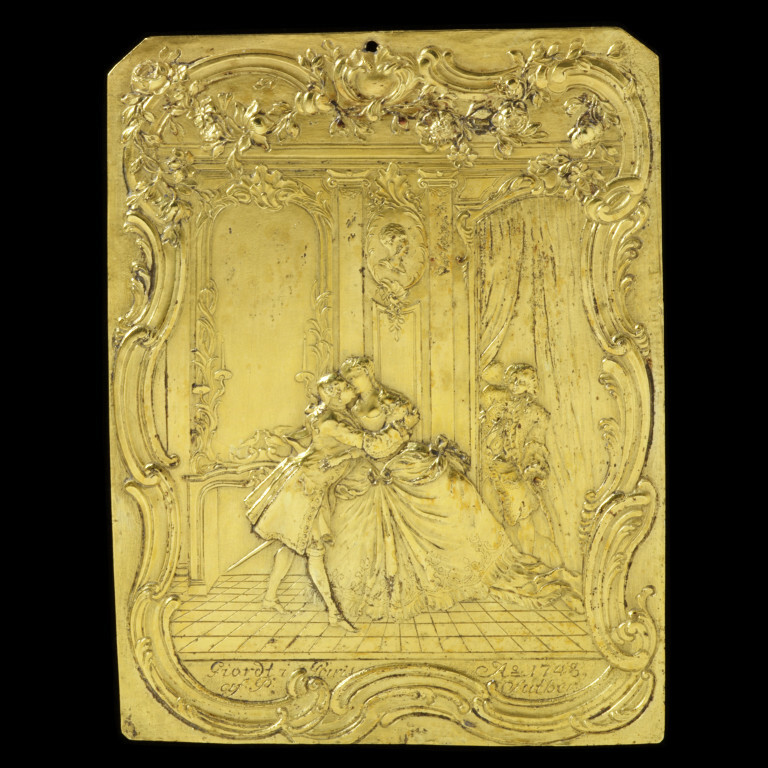 V&A 515-1882 – This will be on display in the Europe Galleries. On his return from Italy, Boucher increasingly turned his attention to large-scale mythological painting and soon found official recognition in the form of royal commissions. 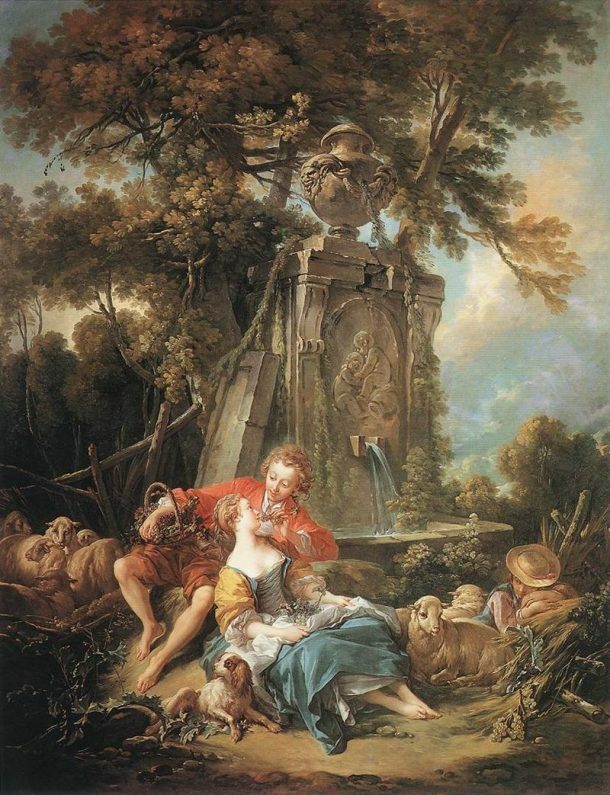 Mythological subjects provided an excuse for Boucher to use amorous or pastoral themes. His work soon graced the walls of an impressive clientele, including King Louis XV, the Marquise de Pompadour, and Count Carl Gustav Tessin, Swedish ambassador to Paris. 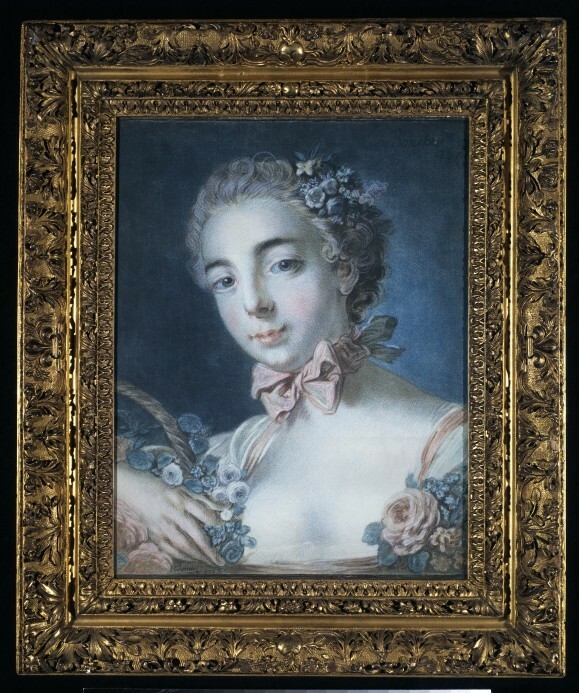 The Marquise de Pompadour (mistress of King Louis XV) was a great admirer of Boucher’s work and, as his patron, their names both became synonymous with Rococo art. 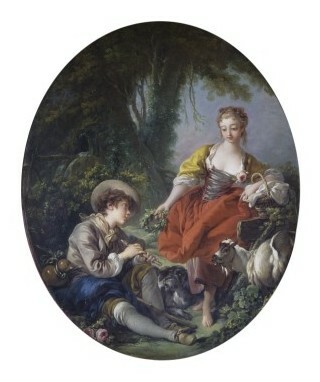 Boucher’s most original contribution to Rococo painting was his reinvention of the pastoral genre. 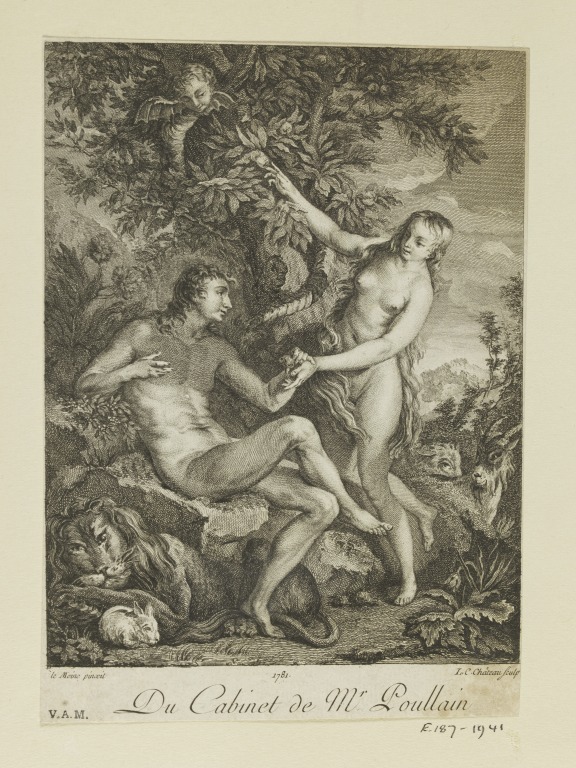 He depicted rural scenes with figures, such as shepherds and shepherdesses, as sentimental lovers but introduced an elegant eroticism into traditional ideas of rural innocence, producing intimately amorous scenes within idealised landscapes. ‘Pastorale’, oil painting, François Boucher, 1763. VA 374-1901 – This will be on display in the Europe Galleries. Boucher was an astonishingly prolific painter and draughtsman – he once claimed to have produced around 10,000 drawings. 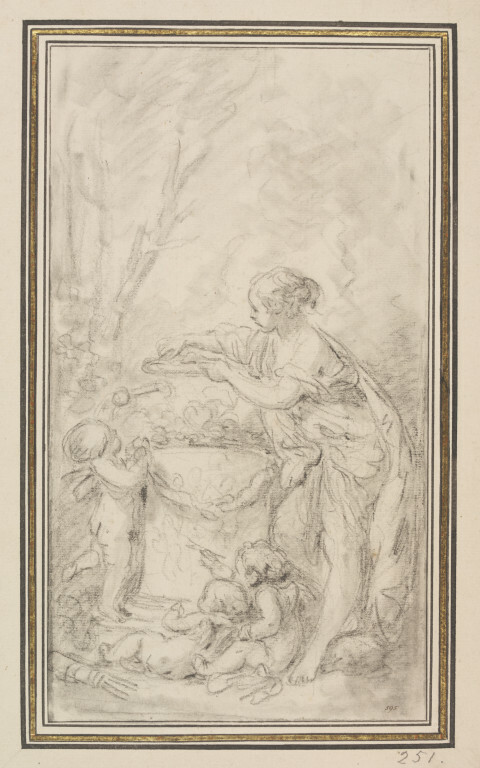 At a time when most of Europe sought to follow the fashions of the French court, Boucher’s numerous drawings, paintings and designs helped to satisfy public demand for fashionable imitable imagery. Boucher was both proficient and canny at marketing his work. He created designs for all manner of decorative arts, including porcelain and textiles and also designed theatre costumes and sets. He spent around twenty years involved with the Beauvais tapestry workshops, for whom he produced a number of tapestry designs. 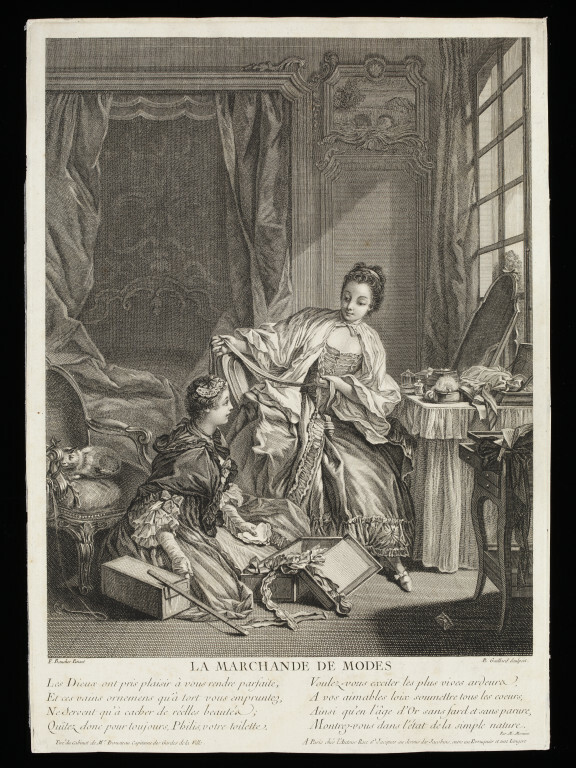 However, his appointment as head of the rival Gobelins Manufactory in 1755 meant that he had to rather abruptly end this association. 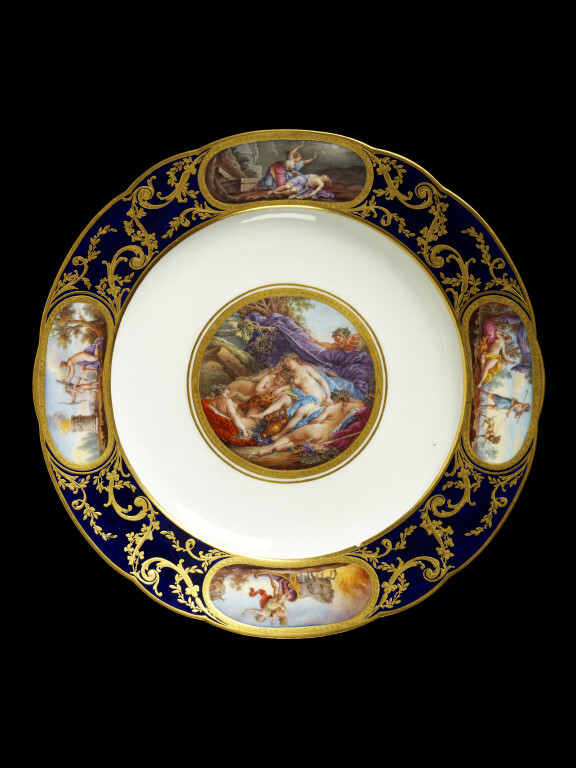 Boucher’s designs were extensively copied and reproduced by decorative artists and printmakers, for whom it could prove to be a rather lucrative business, helping his designs to be disseminated throughout Europe. 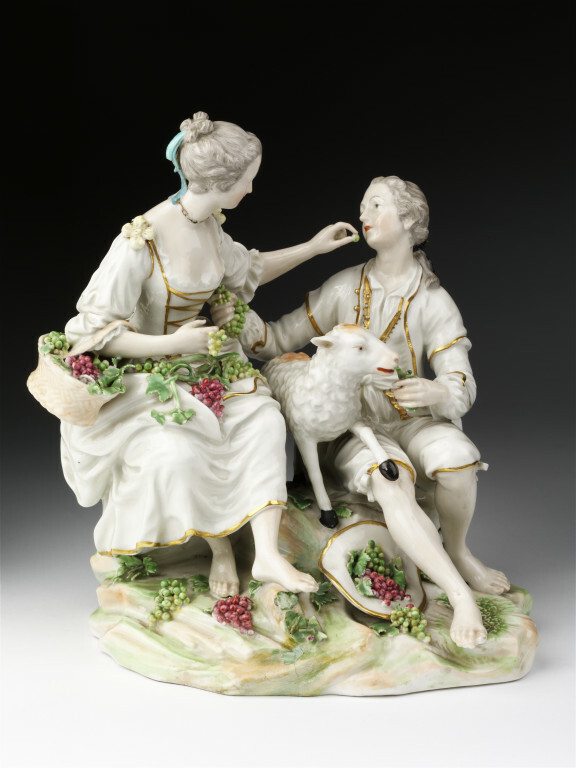 Porcelain manufactures (including Vincennes, Sévres and Meissen) were kept busy with the replication of figures and scenes from his work as porcelain figurines and painted decoration on tableware and other pieces. 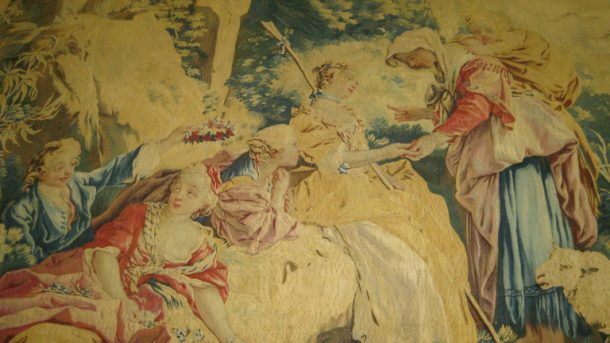 Boucher’s pastoral scenes were particularly popular in the form of furnishing fabrics. 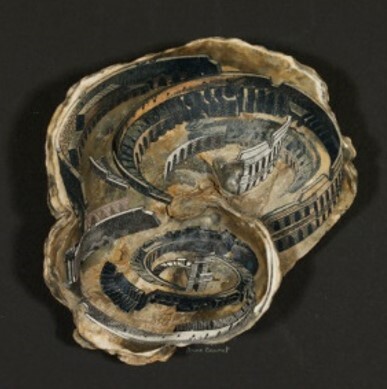 His designs can be found replicated and adapted in various forms for a vast range of objects, including book illustrations, fans, snuff boxes, reliefs and plaques. 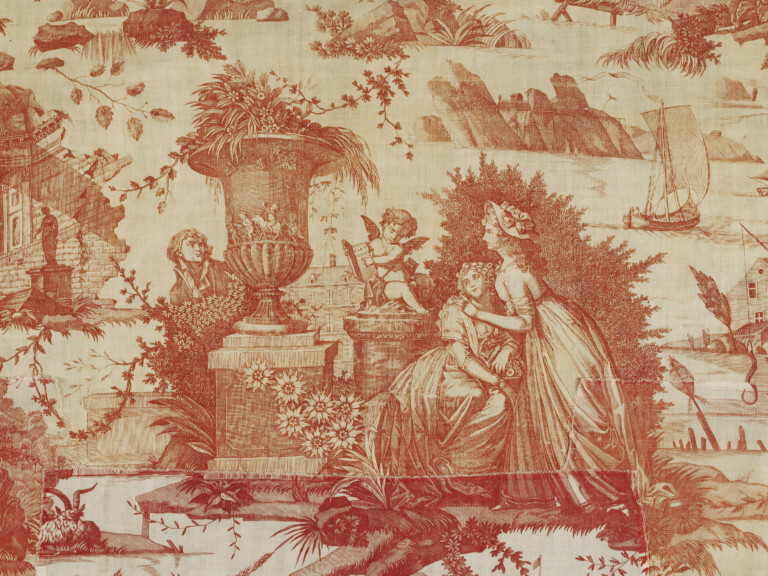 Boucher also produced sets of prints that adapted decorative depictions of Chinese figures for Rococo sensibilities, this helped to both encourage and disseminate the fashion for chinoiserie designs across Europe. 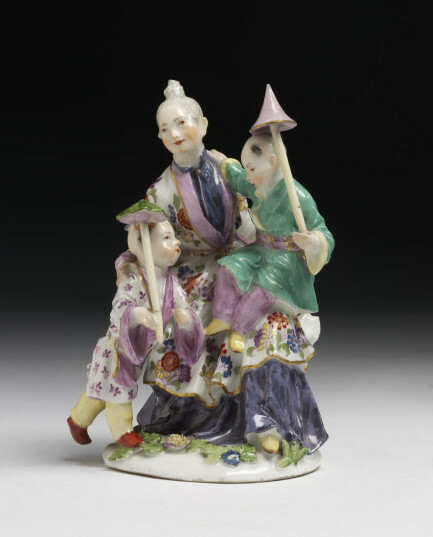 The Meissen factory in Saxony made several models, including this one, after a series of chinoiserie designs by Boucher entitled ‘Les Délices de L’Enfance’ (The Delights of Childhood), inspired by engravings by J.J. Balechou. V&A C.6-1978 – This will be on display in the Europe Galleries. Boucher’s vast number of private commissions for wealthy collectors helped to determine his impressive influence on the decorative arts of this period and assure him a lasting notoriety. Very much a man ‘at the top of his game’ for the majority of his career, it was only as the growing fashion for Neoclassical design began to take hold towards the end of the century that his popularity began to wain. Contemporary criticisms of Boucher’s work became more audible, as increasing numbers voiced their dislike of his artificiality and repetitious use of set motifs – Boucher once famously objected to the idea of painting directly from nature on the grounds that it was ‘too green and badly lit’. 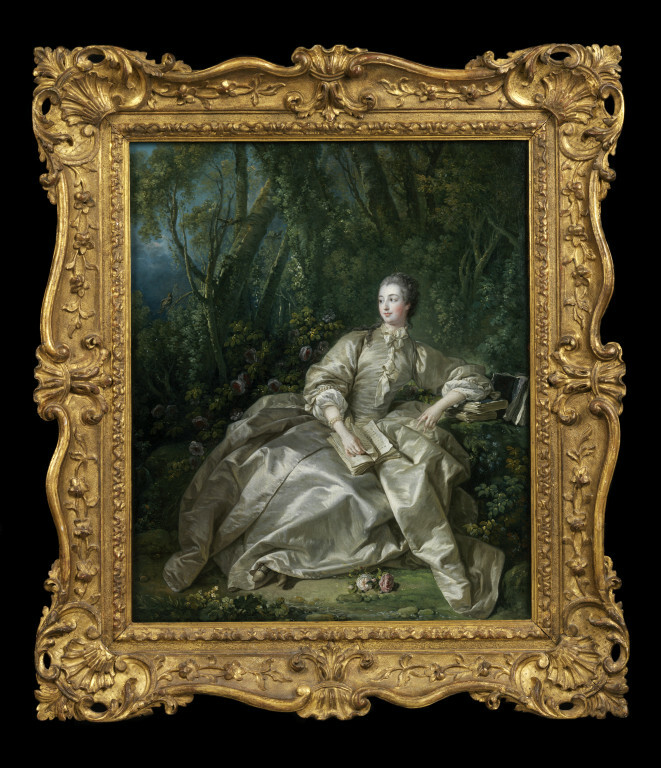 Denis Diderot famously wrote of Boucher in his review of the 1761 Salon ‘That man is capable of everything—except the truth’. 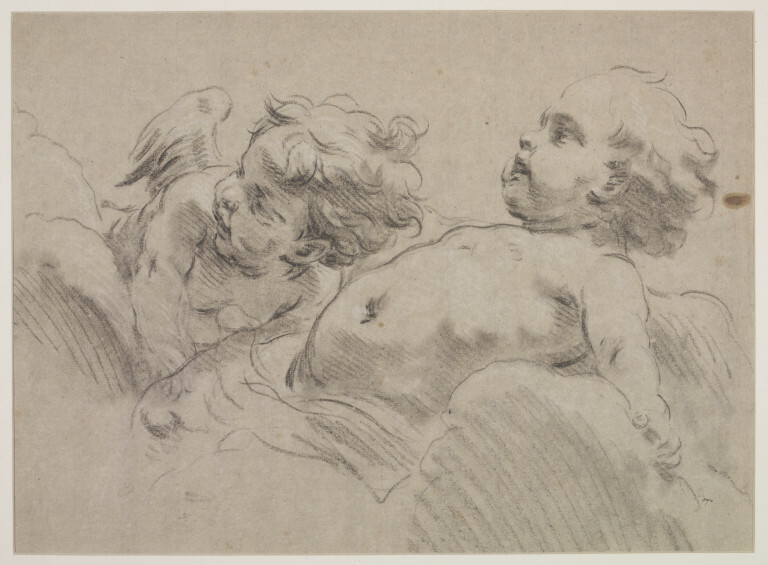 During the later years of his career, Boucher also came under increasing attack for the more licentious elements of his work, which were found to be particularly objectionable in the context of an increasingly strict moral climate in Paris. In some ways, Boucher could be considered a victim of his own success. With such widespread use of his designs and style across Europe, it was perhaps inevitable that his popularity would reach ‘saturation point’ and provoke a backlash. Boucher essentially outlived his appeal. He continued to work right up to his death in 1770, refusing to adapt the style of his work to changing fashions. Despite his fall from fashion, Boucher’s considerable legacy of delicate, seductive, dream-like environments continue to beguile today. I was particularly taken by a description I recently read online, that Boucher makes us ‘long for a time that never was, a world that never could be real’.